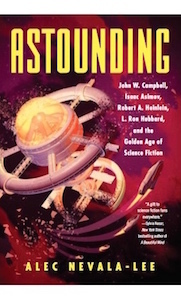 Note: Four years ago, I published a series of posts here about my ten favorite works of fiction. Since then, the list has evolved, as all such rankings do, and this seems like a good time to revisit it. (I’m not including any science fiction, which I hope to cover in a separate feature later this year.) I’ll be treating them in the order of their original publication, but as it happens, we’ll be starting today with the book I love the most. Two years before I had discovered…a superficial description of a nonexistent country; now chance afforded me something more precious and arduous. Now I held in my hands a vast methodical fragment of an unknown planet’s entire history, with its architecture and its playing cards, with the dread of its mythologies and the murmur of its languages, with its emperors and its seas, with its minerals and its birds and its fish, with its algebra and its fire, with its theological and metaphysical controversy. And all of it articulated, coherent, with no visible doctrinal intent or tone of parody. The rules of the game were simple. Holmes, Watson, Mycroft, and the other vivid figures who populated their slice of London had been real men and women; Conan Doyle had been Watson’s literary agent; and the stories were glimpses into a larger narrative that could be reconstructed with enough patience and ingenuity. Given the scraps of information that they provided, you could figure out which building had been the model for 221B Baker Street; piece together the details of Watson’s military record, the location of his war wound, and the identities of his three, or perhaps four, wives; determine the species of the speckled band and whether “The Adventure of the Three Students” took place at Oxford or Cambridge; and pin down, with considerable accuracy, when and where each of the other adventures took place, even as Watson, or Conan Doyle, tried to divert you with “mistakes” that were deliberate misleads or red herrings. The result of Baring-Gould’s work, which collects nearly a century’s worth of speculation into one enormous, handsomely illustrated volume, is the first book I’d save if I could own only one, and for years, it’s been living on my desk, both as a source of inspiration and as a convenient laptop stand. (Leslie Klinger’s more recent edition is lovely as well, but Baring-Gould will always be closest to my heart.) And it’s taken me a long time to realize why I care about this book so much, aside from the obvious pleasure it affords. It represents a vision of the world, and of reading, that I find immensely seductive. Each story, and often each sentence, opens onto countless others, and if Conan Doyle didn’t mean for his work to be subjected to this level of scrutiny, that’s even better: it allows us to imagine that we aren’t following a trail of clues that the author meant for us to find, but discovering something that was invisibly there all along. “Never has so much been written by so many for so few,” as the great Sherlockian Christopher Morley once said, and it’s true. All these studies are spectacularly useless, and they’re divorced from any real academic or practical value—aside, of course, from the immense benefit of allowing us to spend more time in this world and in the company of two of the most appealing characters in fiction. It’s a way for the story, and the act of reading, to go on forever, and in the end, it transforms us. In the role of a literary detective, or a tireless reader, you become Holmes, or at least a Watson to more capable investigators, thanks to the beauty of the stories themselves. What more can we ask from reading? I first encountered the best book in the world in the library of St. John’s College in Annapolis, Maryland. At the time, I was seventeen, and of course I was already in love with Sherlock Holmes: I’d even been exposed to the subculture of obsessive Holmes fans through the wonderful anthology A Baker Street Dozen, which I still think is the best introduction to Holmes and his world. What I found in The Annotated Sherlock Holmes by William S. Baring-Gould was something much more, an entire universe of speculation, whimsy, and longing, like the Orbis Tertius of Jorge Luis Borges, built on the rich soil of Arthur Conan Doyle’s original stories. The rules of the game were simple. Holmes, Watson, and the vivid figures who populated their slice of London had been real men and women; Conan Doyle had been Watson’s literary agent; and the published stories themselves were glimpses into a larger narrative that could be reconstructed with enough patience and ingenuity. Given the scraps of information that the stories provided, you could figure out which building had been the model for 221B Baker Street; you could piece together the details of Watson’s military record, the location of his war wound, and the identities of his three, or perhaps four, wives; you could determine the species of the speckled band and whether “The Adventures of the Three Students” took place at Oxford or Cambridge; and you could pin down, with considerable accuracy, when and where each of the other adventures took place, even as Watson—or Conan Doyle—tried to divert us with “mistakes” that were deliberate misleads or red herrings. The result of Baring-Gould’s work, which collects nearly a century’s worth of speculation into one massive, handsomely illustrated volume, is the first book I’d save if I could own only one, and for years, it’s been living on my desk, both as a source of inspiration and as a convenient laptop stand. (Leslie Klinger’s more recent edition is lovely as well, but Baring-Gould will always be closest to my heart.) And it’s taken me a long time to realize why I care about this book so much, aside from the huge obvious pleasure it affords. It represents a vision of the world—and of reading—that I find immensely seductive. Each story, and often each sentence, opens onto countless others, and if Conan Doyle didn’t mean for his work to be subjected to such scrutiny, that’s even better: it allows us to imagine that we aren’t following a trail of clues that the author meant for us to find, but discovering something that was invisibly there all along. “Never has so much been written by so many for so few,” as the great Sherlockian Christopher Morley once said, and it’s true. These studies are spectacularly useless, and they’re divorced from any academic or practical value, aside, of course, from the immense benefit of allowing us to spend more time in this world and in the company of two of the most appealing characters in fiction. It’s a way for the story, and the act of reading, to go on forever, and in the end, it transforms us. In the role of a literary detective, of a tireless investigator, you become Holmes, or at least the Watson to so many more capable readers, thanks to the beauty of the stories themselves. What more can we ask from reading? After thirty yards, the road curved and the shade trees vanished. To his left, the hedge continued as before. On his right, the houses disappeared, replaced by a pond trimmed with reeds and pitch pines. Ospreys floated on the calm surface of the water. This description comes from Chapter 6 of The Icon Thief, when Ilya is casing the mansion where he and another thief will shortly stage an elaborate heist, and it strikes me as a nice image, one that clearly evokes the setting, a peaceful neighborhood in the Hamptons. It isn’t flashy, but the writing is efficient and clear. The trouble, unfortunately, is that it contains a mistake, as a reader pointed out to me in a terse email, which read in its entirety: “Ospreys do not rest on the water; they rest in trees (preferably dead ones).” Well, I hope he liked the rest of the book. But I can’t deny that it’s a definite error on my part. In the months since The Icon Thief was first published, I’ve noticed a few factual lapses like this, some of which I’d rather not mention, although I’d like to correct the record to reflect that the woman to whom I refer, in passing, as “a dead patron of the arts” is actually very much alive. And yet I’m strangely relieved that there aren’t more mistakes. The Icon Thief contains hundreds of factual statements that, even outside the context of the story, can be independently checked, verified, or disproved, and so far, the errors I’ve been told about or seen on my own amount to only a handful. I’ve been especially gratified to hear from a number of readers in the art world, including two experts on Duchamp, who would be more than capable of pointing out any inaccuracies. So far, if they’ve found any serious ones, they’ve been too polite to say so—allowing, of course, for the occasional liberties I’ve taken in the interest of constructing a fictional narrative. (I should also confess that my readers caught a number of similar mistakes before the book was published, which only demonstrates the necessity of subjecting any manuscript to thoughtful critical review.) But I’ve put a lot of effort into making sure, within human reason, that this book is correct in its details, even in points that are likely to elude the attention, or interest, of even the most diligent reader. In this regard, I was motivated throughout by the example of the ferociously observant readers of the Sherlock Holmes stories. Arthur Conan Doyle was not what we’d call a great researcher, and he had trouble keeping even his own continuity straight. 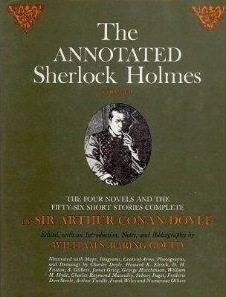 The most delightful aspect of the field of Sherlockian studies is the energy that these readers invest in both fact-checking and justifying any discrepancies they uncover, which include issues ranging from the location of Watson’s wound to the species of the speckled band to whether the weather in London was, in fact, drizzly and gray on a particular morning in 1895. (Sometimes they go a little too far: I’ve gone on record as saying that The Annotated Sherlock Holmes by William S. Baring-Gould is the best book in the world, but if it has one shortcoming, it’s that the editor rearranges the stories into his own eccentric chronology, ignoring narrative logic and character development to order them based on, say, contemporary weather reports.) And whenever I go back to check my own work, it’s with an eye to such a reader: highly intelligent, endlessly skeptical, and blessed with a seemingly unlimited amount of time. Of course, the odds of my novels ever receiving even a fraction of the attention of the Holmes stories is pretty remote. All the same, the habit of reading your own work with this kind of audience in mind is a useful one. As I’ve noted before, all novels, especially in the suspense genre, tend to use factual information and accuracy in small details as a kind of synecdoche for the credibility of the plot as a whole, and any lapse will throw not just the disputed passage but the entire story into question. Even the tiniest mistake will pull the reader out of the fictional dream. As a result, I’ve found myself checking weather reports for the day in which a certain scene takes place, usually with the assistance of the invaluable Wolfram Alpha, and poring over maps and photographs—or, better yet, visiting locations in person—to make sure the action is plausible, or at least physically possible. While writing Ulysses, James Joyce wrote a letter to his aunt asking her to verify that an ordinary man could climb over the fence at No. 7 Eccles Street, and it’s that kind of diligence toward which we should strive. And all the while, we should remember that, unlike the Navajos, there’s no need for us to weave deliberate flaws into our blankets—they’ll have plenty of flaws of their own. Montaigne and Howell’s Letters are my bedside books. If I wake at night, I have one or other of them to prattle me to sleep again. They talk about themselves forever, and don’t weary me. I like to hear them tell their old stories over and over again. I read them in the dozy hours, and only half remember them. Despite its informal tone, this strikes me as an important moment in the history of literary criticism, because it describes a kind of reading that we all intuitively recognize. Our libraries are filled with one kind of book, our nightstands another, and although most bedside books have certain things in common, above all else, they’re a reflection of the reader’s personality. In some ways, what we read just before going to bed, or in the middle of the night, expresses more about who we are than the books we display for others—or ourselves—during the day. So what makes a good bedside book? Ideally, given its specialized role, it should be a book that you can pick up casually and put down after a couple of minutes. As such, bedside books tend to have a miscellaneous quality: they’re often collections of short pieces, anthologies, or essays, rather than sustained arguments or narratives. They’re also books that you can open at random in hopes of finding something interesting. As a result, they might be books that you’ve read before and enjoy revisiting, or reference books with entries that don’t need to be read in any particular order. Not surprisingly, there’s a lot of overlap between the bedside book and the bathroom book—although you may want to keep them in two separate stacks. Apart from these considerations, the ideal bedside book tends to be whatever else you’re reading at the time, so there are often two levels of books on the nightstand. The pictures shown here, of my own bedside table, are uncharacteristically tidy: usually, along with the more or less permanent occupants, there’s another pile of books I’m currently reading. Since my move, though, I’ve had to reconstruct my own bedside library from scratch, so what you see here is something of an idealized version of my nightstand. Note, too, that these pictures are missing the best bedside book in the world, William S. Baring-Gould’s original Annotated Sherlock Holmes, which has been promoted, or apotheosized, to a permanent position on my desk. Instead, we have Leslie Klinger’s more recent New Annotated Sherlock Holmes, which is a charmer in its own right, along with Baring-Gould’s Annotated Mother Goose. We also have books on film, including David Thomson’s Biographical Dictionary and Have You Seen? and Pauline Kael’s 5001 Nights at the Movies; anthologies, including The Limits of Art and the incomparable Zen in English Literature and Oriental Classics; and, of course, books specifically designed to be read in bed, notably J. Bryan III’s Hodgepodge, Frank Muir’s Irreverent and Thoroughly Incomplete Social History of Almost Everything, and The People’s Almanac. These last three are resolutely old-school, but if you want something more contemporary and twee, Schott’s Original Miscellany will probably do. The rest of the books reflect my own interests and tastes: A Pattern Language, one of the great books in the world, which I’m reading again as I settle into my new house; World Tales by Idries Shah; Dilys Winn’s classic Murder Ink; Sondheim’s Finishing the Hat, which I’m going to finish one of these days; Bill Simmons’s Book of Basketball, which is great bedside reading even if you aren’t a sports fan; The Essential Jesus by John Dominic Crossan; and the two volumes of Isaac Asimov’s original autobiography. (There should also be a copy of The Whole Earth Catalog here somewhere, along with The PreHistory of the Far Side, but these are still packed away.) And, of course, the iPad. You might think that the latter would make the rest obsolete, but that isn’t the case. Even after all this time, there’s something about reading a book in bed that technology can’t match, especially late at night, in Thackeray’s dozy hours. If alcoholism is the greatest occupational hazard of a novelist’s life, back trouble can’t be too far behind. As my doctor—not named Watson, unfortunately—reminded me last year, anyone who spends most of his time at a desk is going to have back problems, and the issue is especially pronounced for writers, who may need to work intensely for hours at a stretch. (This is less of a problem, of course, for those of us with writer’s block.) I’ve had back pain on and off ever since starting to write for a living, five years ago, and while I’ve managed to address most of the issues that were causing the trouble, it’s something that still bothers me from time to time. Really, though, I have no one to blame for myself. I wrote most of the rough draft of my first novel—not The Icon Thief, but its unpublished predecessor, a long novel about India—while seated cross-legged on a couch in the living room of my old apartment, hunched over the laptop beside me. This position was comfortable at first, but after writing a quarter of a million words, it blew out my back in ways that I’m still paying for. I learned two things from the experience: 1. Don’t write a first novel that is 250,000 words long. 2. If you’re going to write anything at all, do so at a proper desk. Since then, I’ve done my best to develop better habits. The first step was the purchase of a good chair. My luxurious old Aeron was, alas, a casualty of my move from New York to Chicago—although my brother is hopefully putting it to good use—and I’ve since replaced it with a less expensive but still pretty functional alternative. I’ve spoken before about the Symphony pillow from Tempur-Pedic, a must for anyone with back trouble, which I’ve since supplemented with a contoured pillow for my knees. As a result, I sleep much better, even though the combination sometimes makes me feel like an old man. Finally, one needs a properly elevated workstation. After checking my own posture, I determined that my laptop had to be raised by about four inches to allow me to work comfortably. I could have invested in an expensive laptop stand, but casting an eye around own my bookshelves, I determined that the one-volume edition of William S. Baring-Gould’s Annotated Sherlock Holmes, elsewhere acclaimed on this blog as the best book in the world, fit the bill admirably. Ever since, I’ve been writing on Holmes, in more ways than one, and I’d like to think that my work is better for it. My back certainly is. Just over a year and a half ago, I moved from New York to Chicago, forcing me to figure out what to do with seven years’ worth of books. The prospect of shipping them all to my new apartment was daunting: after years of living a temptingly short train ride from the Strand, all of my shelves were stacked at least two books deep, and additional piles were everywhere. In the end, I ultimately decided to radically downsize my library, going from something like thirty boxes of books down to six. And the experience taught me a lot about which books really mattered to me. A few notes: Borges and Conan Doyle switched places at the last second. Dropped at the final minute were the Iliad and Antigone (the last remaining vestiges of a classical education). I’ve limited myself to one book per author, which resulted in surprisingly few omissions. If pressed, I might want to take a few extra volumes of The Complete Peanuts instead of the last several authors. And, obviously, this isn’t meant as a list of the best books of all time, or even necessarily of my own favorites—just the books without which I would find it very inconvenient to live. Tomorrow, I’ll be doing the same thing for movies.